At the centre of the Story is a baby, the child upon whom everything will depend. Every story whispers his name. From Noah to Moses to the great King David – every story points to him. He is like the missing piece in a puzzle – the piece that makes all the other pieces fit together. 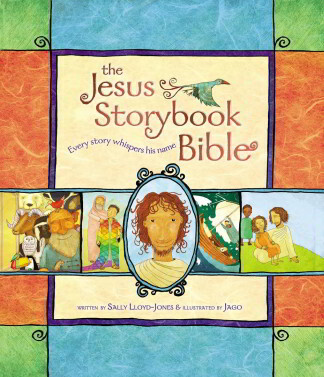 I bought this as my boys (4 & 6) had outgrown The Beginner’s Bible. We read this before bed and it is excellent, they love the descriptive nature of the stories as it is just right for their understanding. The lovely pictures are a great help at illustrating the message.